Choristers will participate in a festival choir of over two hundred other high school singers selected from around the Los Angeles area led by Tesfa Wondemagegnehu. Singers will attend leadership sessions focusing on the individual singer’s role in the success of a choral ensemble. 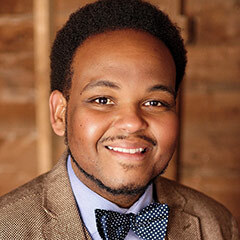 TESFA WONDEMAGEGNEHU, Director of Choral Ministries at Westminster Presbyterian Church in Minneapolis, previously served as the conductor of The Radio Choir from American Public Media and as the assistant artistic director of VocalEssence. As a high school teacher, he was named Orange County Public School’s Teacher of the Year and received the Macy’s National Magic of Teaching Award. During his tenure at Freedom High School in Orlando, he led his choirs in performances at state conventions of the American Choral Directors Association and the Florida Music Educators’ Association. Wondemagegnehu is widely in demand as a guest conductor and lecturer. 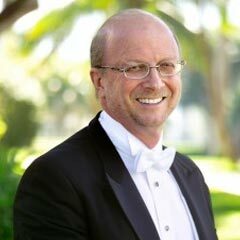 He has performed, presented workshops, and conducted honor choirs across the United States, Canada, Germany, Austria, Hungary, and Costa Rica. Directors, chaperones and accompanists are invited to attend the workshop and observe all of the leadership sessions. 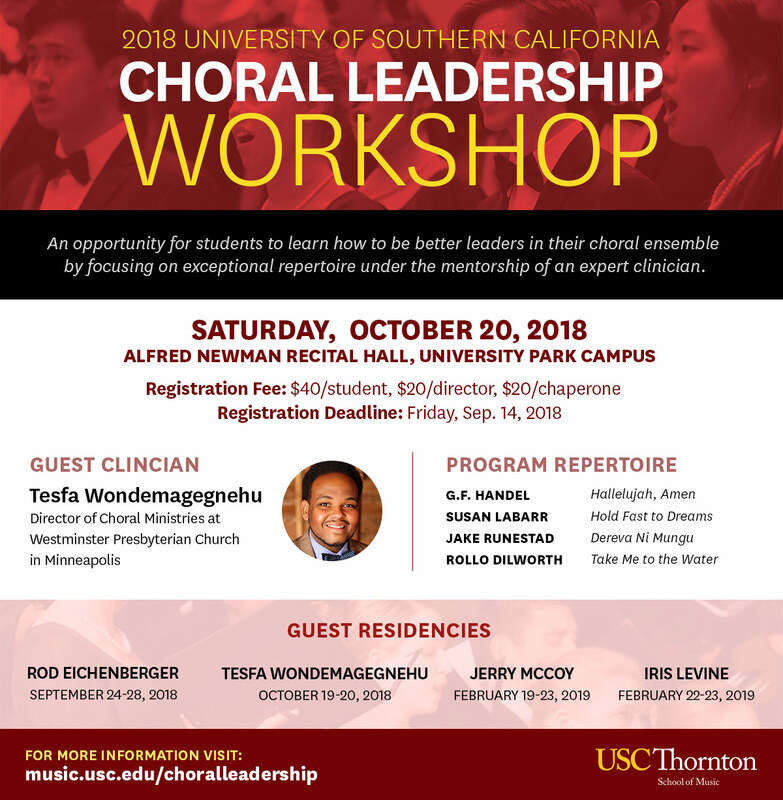 In addition they will be provided a special lunch session with USC Thornton Choral and Sacred Music Faculty to allow for further discussion of leadership in the choral field. 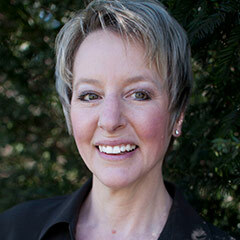 Lynn Helding, Associate Professor of Voice and Voice Pedagogy at USC’s Thornton School of Music, will address some of the most common myths that surround singing and the teaching of voice, and offer science-based solutions for choral conductors. Registration will open on May 1, 2018! Email chorfest@usc.edu.